Every election witnesses defection of leaders from one party to another as they decide to switch loyalties in pursuit of greener pastures. VIJAYAWADA: Every election witnesses defection of leaders from one party to another as they decide to switch loyalties in pursuit of greener pastures. 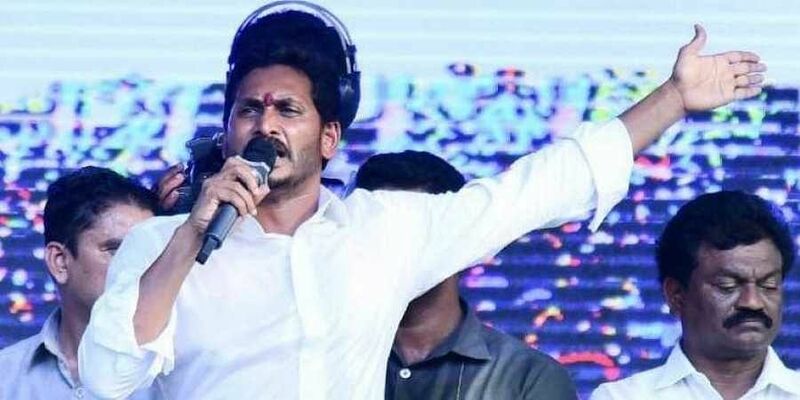 Several leaders continue to shift loyalties to YS Jagan Mohan Reddy-led YSRC and the number stood at more than 1,100, party leaders said. Some prominent leaders who joined the YSRC in the last month are Butta Renuka (Kurnool MP), Avanti Srinivas and P Ravindra Babu (both TDP MPs), Pulaparthy Narayanamurthy, Varupula Subba Rao and Meda Mallikarjuna Reddy (TDP MLAs), Magunta Srinivasalu Reddy (TDP MLC), Amanchi Krishnamohan (TDP-MLA), Adala Prabhakar Reddy (ex-TDP minister), Dasari Jayaramesh (TDP), Duggubati Venkateshwara Rao, Dadi Veerabhadra Rao (ex-TDP MLA), Kamala Kondru (ex-TDP MLA) and SV Mohan Reddy (TDP MLA). Apart from these leaders, 69 others at the Assembly constituency level, 310 at the mandal level and 752 at the village level have joined YSRC last week. Narsaraopet and Chittoor lead the list of LS constituencies on the number of joinings with 160 and 132 leaders respectively. They are followed by Ongole, Guntur, Vishakhapatnam, and Eluru with 118, 97, 53 and 52 leaders respectively. In another jolt to the TDP, sitting MLA from P Gannavaram constituency in East Godavari district Pulaparthi Narayana Murthy joined the YSRC as the ruling party denied ticket to him. The TDP has announced the candidature of Nelapudi Stalin Babu from P Gannavaram constituency.